Rumors started to circulate in 2018 that Google planned to shut down its Hangouts service in the future to focus on other chat applications. Google did not deny the rumor but made it clear back then that it had plans to migrate users to the then-Enterprise products Hangouts Meet and Hangouts Chat by making these products available to consumers. The company published details about the change yesterday on the official Google Suite blog. According to the information posted there, classic Hangouts will be retired for Google Suite customers in October 2019. Google plans to make the change for Google Suite customers first. The company revealed that Google customers who don't use Google Suite will also be transitioned to free Chat and Meet applications but did not publish a timeline for the migration yesterday. April 16, 2019 -- Administrator action may be required. Between April and September 2019 -- Chat will get features from classic Hangouts. October 2019 -- Classic Hangouts will be retired for G Suite customers. G Suite Administrators find a new management setting under Apps > G Suite > Hangouts Chat to disable the classic Hangouts interface early. Another important change is that Chat retention rules will protect chat messages in classic Hangouts and Chat from April 16, 2019 onward. Classic Hangouts messages were protected by the Mail retention settings previously. Lastly, Google Hangouts will be renamed to Hangouts Meet in the admin console and provide settings for classic Hangouts video and Hangouts Meet. All classic Hangouts chat messages and direct messages will be retained indefinitely by default. Users may change these in the Google Vault settings. Customers can also use Google Takeout to export Hangouts data to the local system. Google did reveal some of the classic Hangouts features that will land in Chat this year: the company mentioned integration with Gmail, chat options with external users, an improved video calling experience, and Google Voice calls support specifically. All customers will be moved to Chat automatically starting in October 2019. Classic Hangouts is not the only messaging service that Google will shut down in 2019. The company announced in 2018 that it would shut down Allo as well. Now You: Do you use Hangouts or Allo? Will you use Meet or Chat, or move to other products? Google plans to retire classic Hangouts for Google Suite customers in October 2019, and for non-Google Suite users eventually. 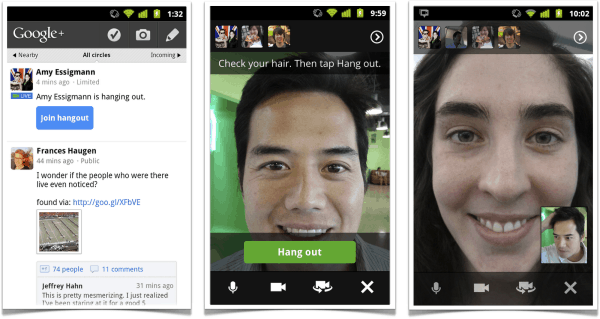 The Google Hangouts app has a great ability to make free VoIP calls to landlines and cell phones in certain regions. Will that functionality still be available from Google or via other providers? If so, what Google products or what other providers? I read elsewhere that Google Voice functionality will be included, which we’ve used since it was Grand Central. So, yes. GV is a great voice and text service that can forward calls and texts to any of your phones. @seeprime Thanks for your reply. Which product will have this voice call functionality? Hangouts are great for many things, including video calls and conferencing, and web and phone chat with history searchable from gmail (that is useful, if you use gmail and search some topic – it’ll find hangouts messages too; if you use Signal for example, you can’t search for topic without sifting through every device you have). Just as I started using Hangouts. 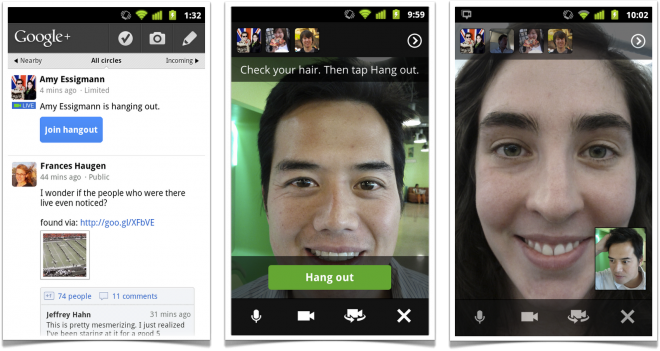 I wonder how the transition will be made – an update to the existing Hangouts APK or a different application in Store? Hangouts wasn’t that what they used in Google+ ? Or was it circles ? …have forgotten. I had G+ for a very short while. Today Google is banned and blocked on my computers ! @stefann Google called. They want your privacy back. I use Allo for conversing and fun media texting with my daughter. We are the only 2 people I know who have it. But then again, I’m kind of a hermit. Some time back I came to the conclusion that using any Google service is a mistake simply because one day soon, they will shut it down. There are exceptions like Maps of course, where they just remove features and change the interface faster than anyone can learn it.